A leading actor as well as producer, Aamir Khan grew up in a family that was deeply involved in films. His father Tahir Hussain was a producer, and uncle Nassir Hussain a director. Although some of his brothers and cousins also tried their hands in films, it was Aamir who became a star commanding millions of fans in India and outside. Making his debut as a child actor in Yaadon Ki Baraat (1973), Aamir began with a bang as hero in Qayamat Se Qayamat Tak (1988) that proved to be a superhit. An actor who does not do too many films at a time, Aamir gave Bollywood several hits in the 1990s including Dil (1990), Dil Hai Ki Maanta Nahin (1991), Jo Jeeta Wohi Sikander (1992), Rangeela (1995) and Raja Hindusthani (1996). In the 1998 hit Ghulam, he sang “Aati Kya Khandala” for himself that reached almost everyone’s lips. Although never ever in doubt, he reaffirmed his acting talents in Deepa Mehta’s Earth (1998) and Sarfarosh (1999). In 2001, Aamir produced Laggan, which got critical acclaims as well as commercial success. While The Rising (2005) met with moderate success, his Rang De Basanti (2006) was a huge success and was India's official entry to the Oscars in the Best Foreign Language Film category. After the release of Faana, Aamir is now working for Lajjo reportedly charging a whopping Rs. 17 crore. He is least interested in awards in spite of winning quite a few. 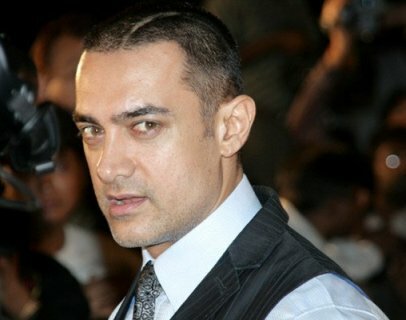 Himself a Shia Muslim, Aamir fell in love with and married a Hindu girl Reena Dutta, defying objections from his family. After living a quiet, publicity-free life, they divorced and Reena took custody of son Junaid and daughter Aira. In 2005 Aamir married Kiran Rao, who assisted director Asutosh Gowariker during the making of Lagaan.